Everyone has an image in their minds of their perfect house, right? You know the one with the Carrie Bradshaw walk-in wardrobe, the self-cleaning bathroom and the live-in chef/cleaner/hairdresser. Just kidding, well not really- I’ve offered my hair dresser the couch in my house many times, rent free, all in exchange for a daily blow dry. 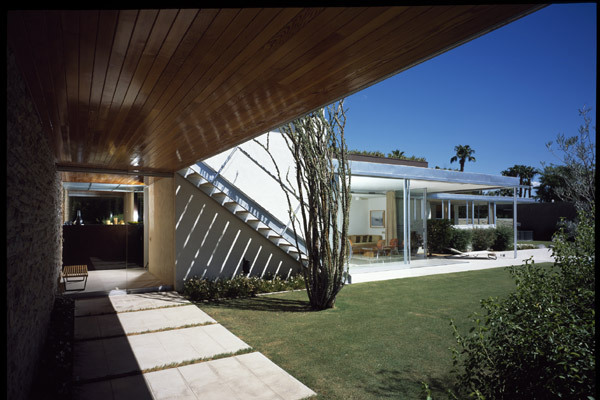 The Kaufmann Desert House on the other hand is the kind of place that makes me swoon. I love everything about it! 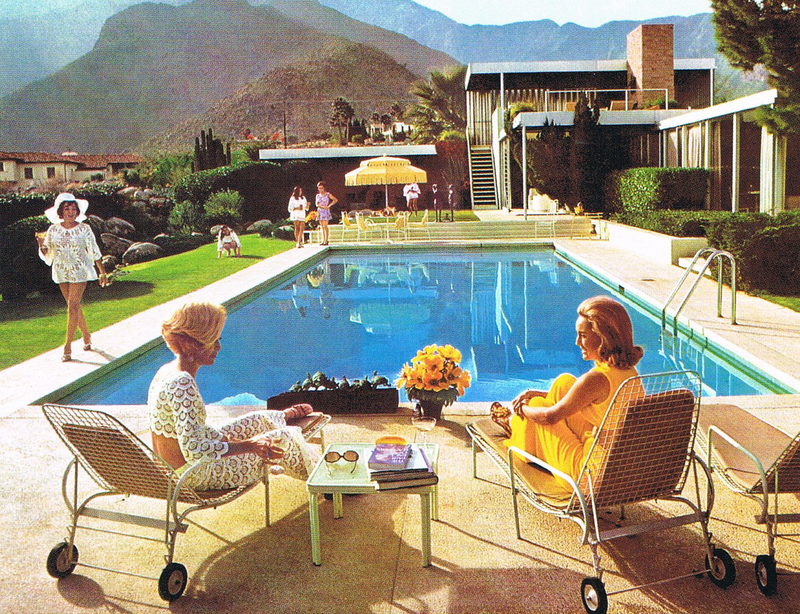 The huge windows, the large living spaces, the way it’s nestled in the Palm Springs arid landscape. I can just imagine myself swishing through the house in my bright yellow and orange kaftan while my kids splash happily in the pool and my husband is in the den – doing whatever men do in a den. 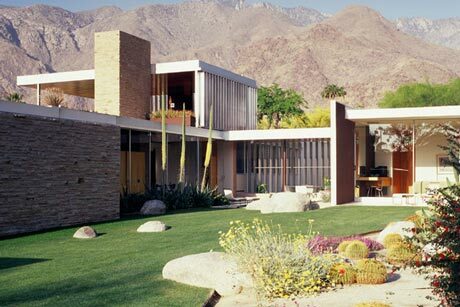 The Kaufmann Desert house is a mid-century modern architectural icon. 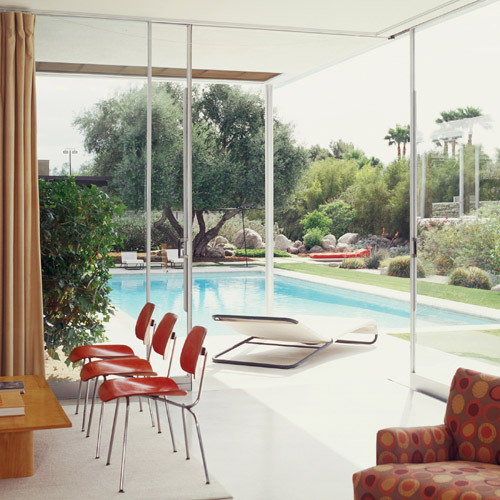 It was designed by Richard Neutra in 1946 for department store tycoon Edgar Kaufmann Snr. 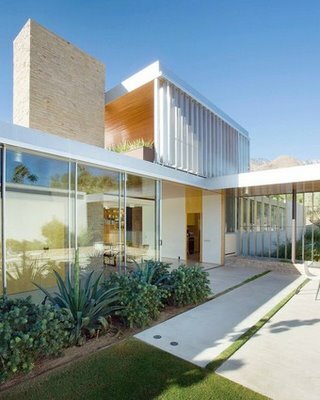 It is a beautifully designed home that blends seamlessly into the desert landscape and brings the outdoors in with the use of floor to ceiling windows and sliding doors. Me too! I can’t get enough of that photo! There’s simply no such thing as too much yellow or orange! …or white wire outdoor furniture.